R75,000 in CASH to be won! The 7 finalists will play for their share of R75 000 with the winner guaranteed R35,000 in Cash! Enter as many times as you wish and increase your chances of being a semi-finalists! Players play for themselves, monies may not be pooled or transferred to other players. Chips are to be kept on the Table at all times and players must play every spin. Chip “winnings” from one competition session will not be carried over to another session. All monies received from buy-ins will be distributed into the prize pools. Hemingways Casino will contribute the value represented by the total points redeemed for entrance fees towards the prize pool. Tournament winnings won during each individual heat will be totaled and ranked to determine the top chip earners. Participants’ chips are to be maintained in a visible manner on the table concerned at all times during each session. Participants must bet during every spin. Bets are to be placed during the allocated time for each spin. The Master of Ceremonies will announce the allocated times, which may differ during the various stages of the tournament. In the event of a tie for scores within the qualifying range, a spin-off will occur i.e. 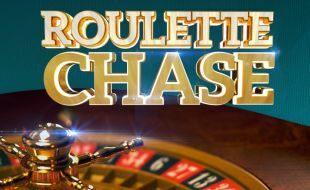 a Dealer will spin the roulette ball in the wheel for the affected participants in alphabetical order of their surnames. The participant with the higher number will gain the higher position and the participant with the lower number (zero being a low number) will gain the very next position. The ranking order will be adjusted accordingly. Should a “NO SPIN” be declared by the Tournament Director whilst a rotational marker is being used (Semi and finals), bets will not be changed and the ball will be re-spun. In the event there is a ‘NO SPIN’ during earlier qualifying rounds then bets may be changed. Chips cannot be pooled with, or transferred to other participants’ chips. All chips must be returned to the respective table float at the end of each competition session. In the event that the required number of buy-ins exceeds the target number, the additional prize monies will be distributed across the seven finalist prizes as deemed appropriate by the tournament.